This is a cute garnish idea. Slice the eggs in half lengthwise and plate. Slice the radish into 4 thin slices cut in half. Using a sharp knife, make slits in the front-side of the egg and insert the radish for ears. Make tiny slits in the front of the eggs, two slits for eyes, and insert a peppercorn. Place a peppercorn in front of the mouse for the nose. Place a chive at the end of the egg for the tail. 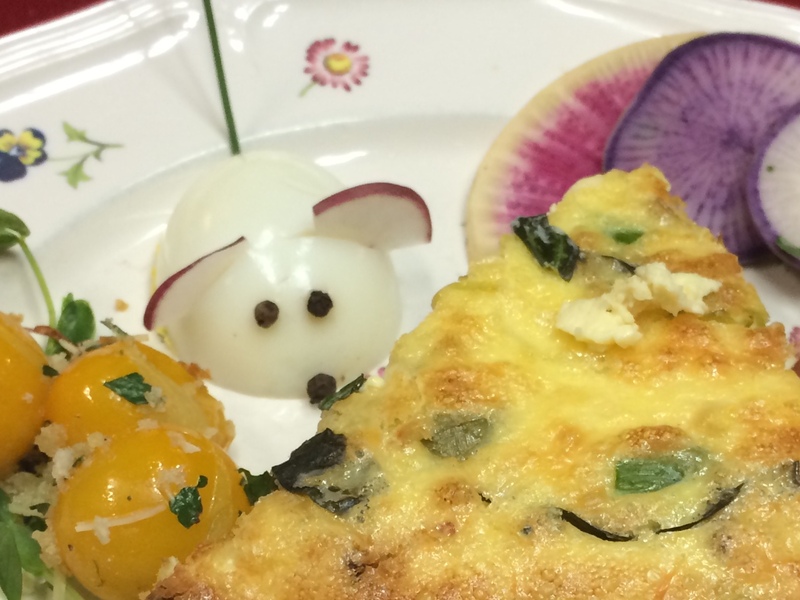 This entry was posted in Birchwood Inn, breakfast appetizer, garnish by admin. Bookmark the permalink.